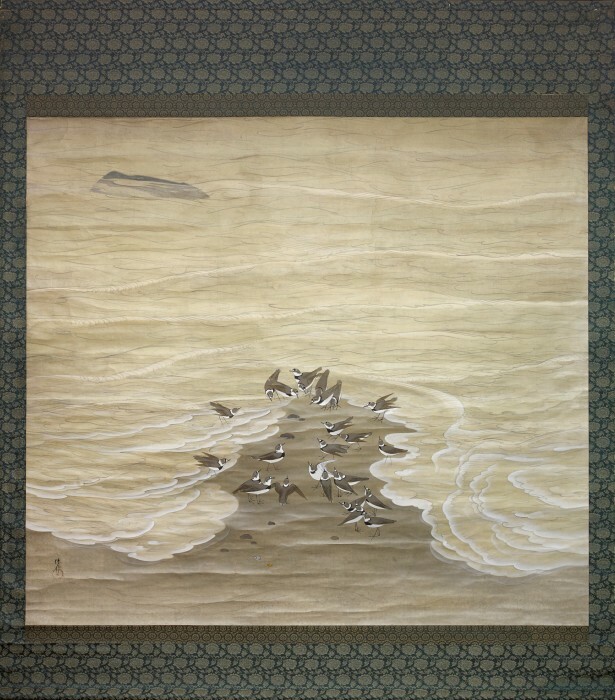 The box inscription attributes this painting to Tomita Keisen (1879-1936), a Nihonga (Japanese style painting) artist active during the Meiji and Showa periods. He initially studied traditional Kano School painting under Ikasa Morimasa (1851-1912) in Fukuoka and then Shijo School painting under Tsuji Kako (1871-1931) in Kyoto. 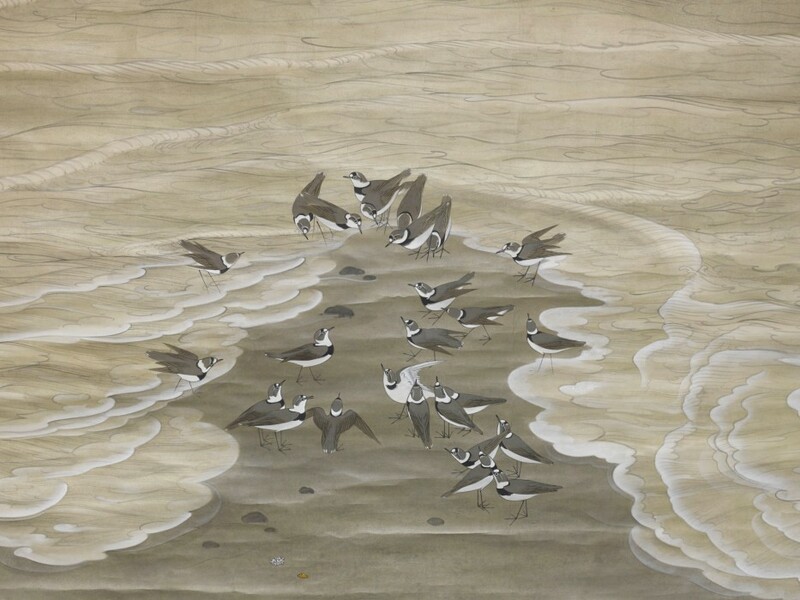 Later in his career, Keisen was inspired by Sengai Gibon (1750-1837), a Zen ink painter, and Tomioka Tessai (1837-1924), a literati painter. Keisen explored both of these painting styles before eventually establishing his own. 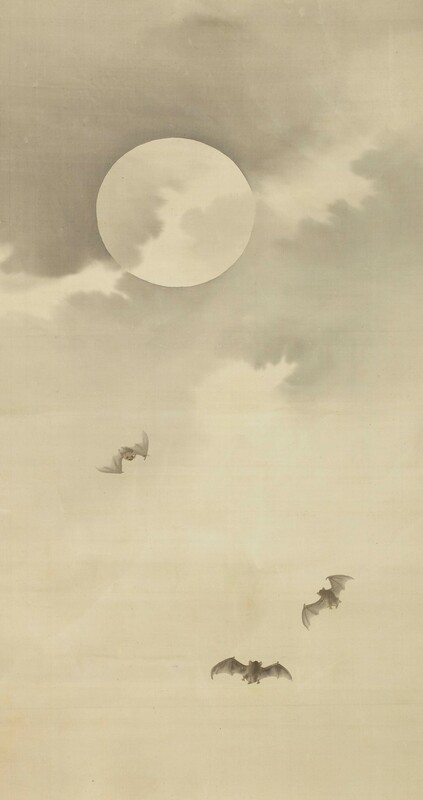 Traditionally bats have been regarded as auspicious creature in the East since the Chinese characters for “bat” are the homonyms of those for “fortune”. 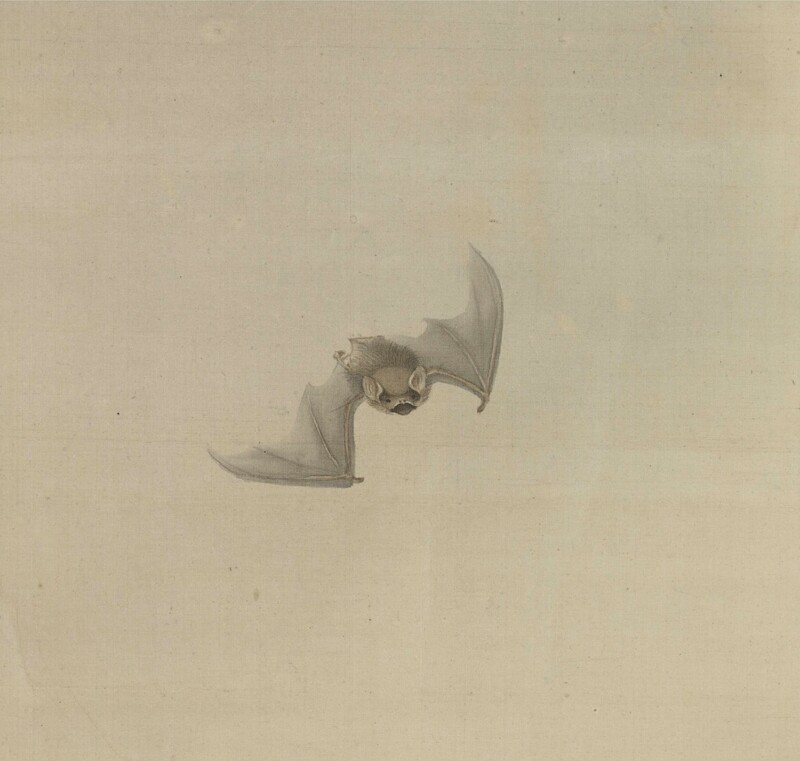 Legend tells us that mice which live for more than a century are transformed into bats, associating them with longevity. Fukurokuju, one of Shichifukujin (Seven Gods of Good Fortune) in Japan, is often depicted with a bat to symbolise good luck and happiness. Works by Tomita Keisen can be found in the collections of: The National Museum of Modern Art, Tokyo; The National Museum of Modern Art, Kyoto; Kyoto City Museum; Fukuoka City Museum and others. SKU: 7570. Categories: Kakemono, Paintings, Scrolls. Tag: autumn.